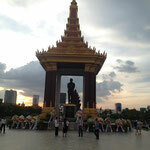 Phnom Penh was just a stop-over. The city itself is nothing special. It's just the typical chaotic asian city. But it's not so old history is actually very interesting and shocking at the same time. 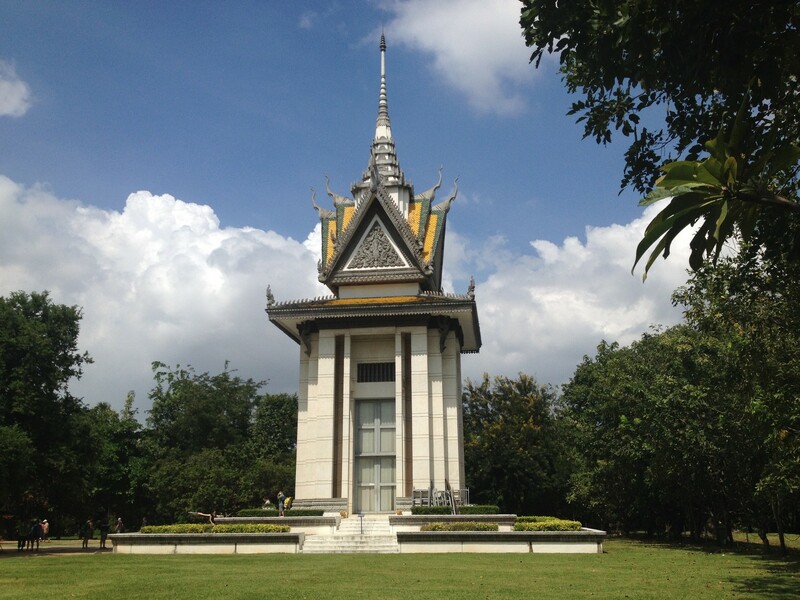 During my time in Phnom Penh, I went to the killing fields and to the former S21 prison of the Khmer Rouge. Both of these places were very disturbing places that documented the cruelty of Pol Pots and his regime. 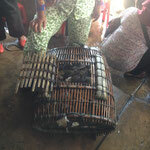 Originally, I wasn't planing on visiting Kampot. Honestly, I hadn't even heard about this place before. 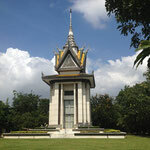 But in my last days in Vietnam, a couple of people had mentioned it and said it was definitely worth a visit. 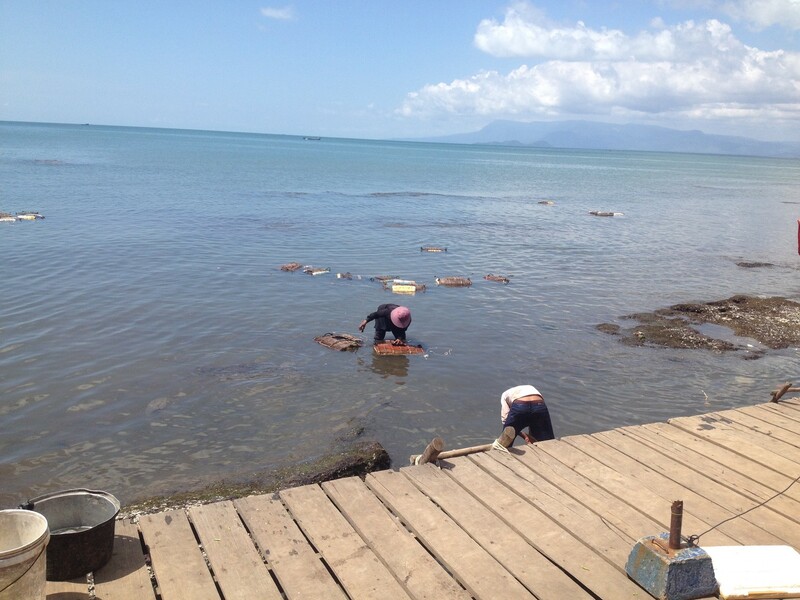 So, my next stop in Cambodia was Kampot. 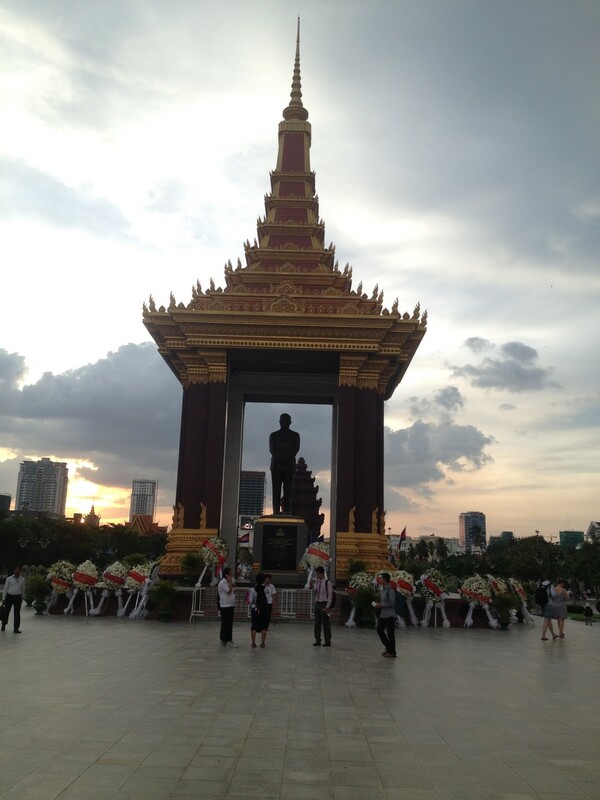 I just planed to stay 2 nights, but I actually really enjoyed the city and stayed for a couple nights longer. Kampot is a nice little river town not far from the ocean. The town itself is pretty small. Along the river are a bunch of restaurants and bars where most people gather in the evening. I rented a scooter for my time in Kampot and went to see the surroundings. 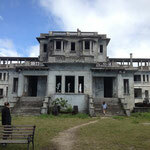 One day I went to the bokor national park. The park is at the top of a mountain. 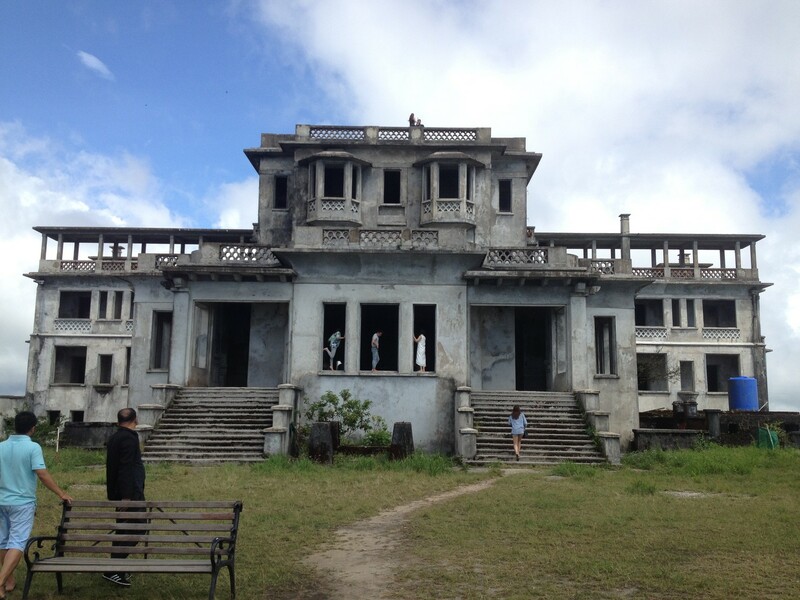 On the top is also the bokor hill station, which used to be a French resort in the 20s and 30s. The main building of the resort is still in good shape and easily accessible. 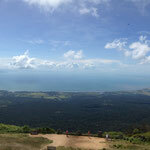 From there you have an amazing view of Kampot and its surroundings. Another day trip was to Kep. 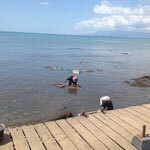 Kep is right at the ocean and famous for its crab market. 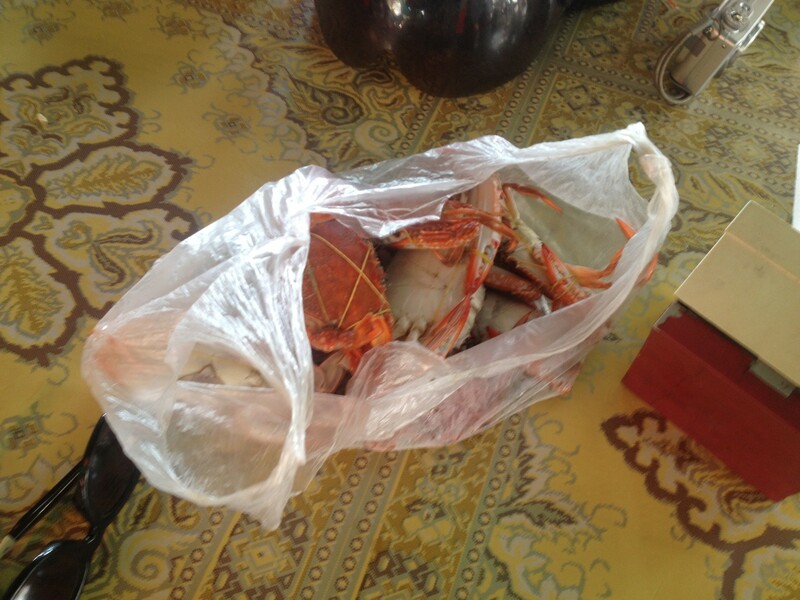 There you can find lots of fresh fish and seafood and as the name already says, crabs. 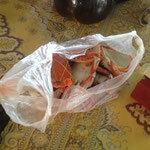 Of course, I had to get some freshly cooked crabs. 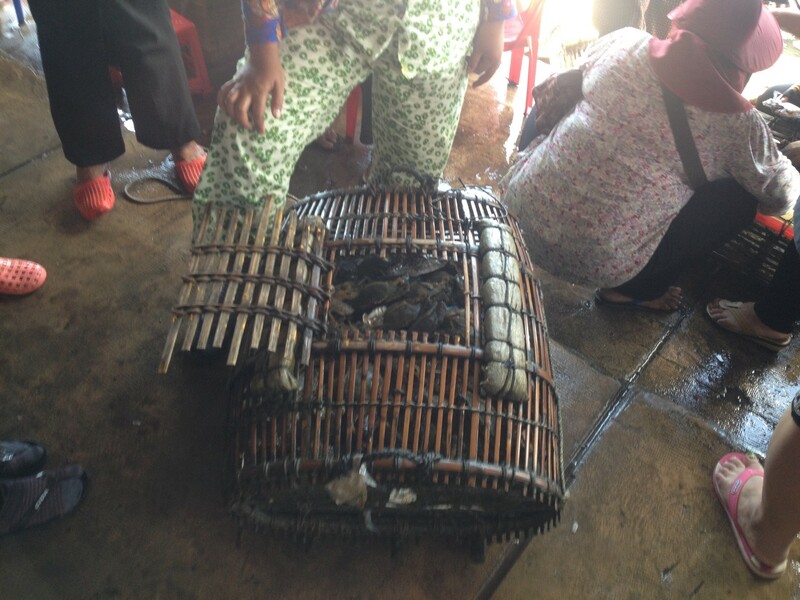 The fisherman and woman catch them just 20m away from the market and then cook them right in front of you. And yes, it was delicious and incredibly cheap. Afterwards, we went to a pepper farm. The region around Kampot is famous for the pepper and before all the wars in the country it was considered the worlds best. We got a tour at the farm and learned about where the plants grow and how the pepper is processed. One interesting fact was that the different types of pepper corns (black, red and white) all come from the same plant. They are just differently processed.